A pristine living with beautifully crafted interiors and in-house restaurant! Hotel Sree Chandana has plush interiors and comfortable wooden furniture. The whole place is bright and beautifully decorated. Rooms are spacious. With wooden furniture and various basic and modern amenities, the rooms here ensure a pleasant and relaxing stay. The in-house restaurant offers delicious delicacies for guests. The banquet hall and conference room here are elegantly designed and can be used for functions or events. CCTV cameras are installed in the premises o ensure the security of your stay. Free Wi-Fi, power backup, parking facility and elevator are some other features of the hotel. 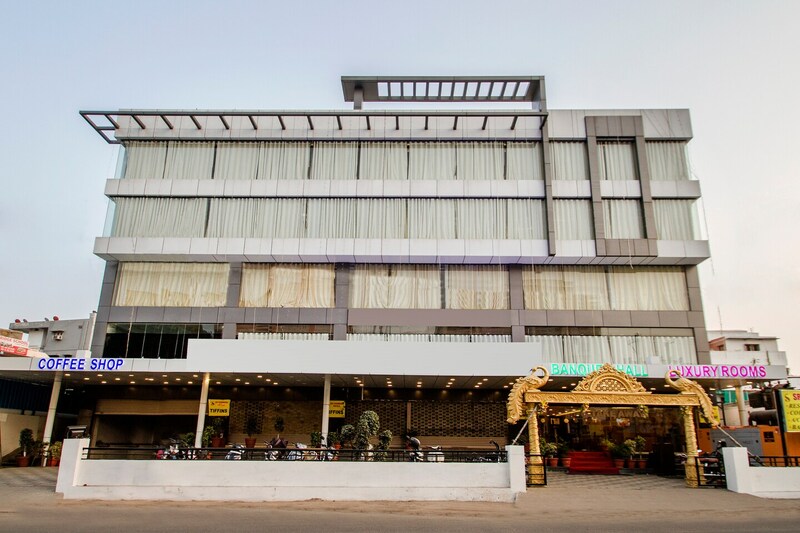 Hotel is also located near the railway station and various restaurants.